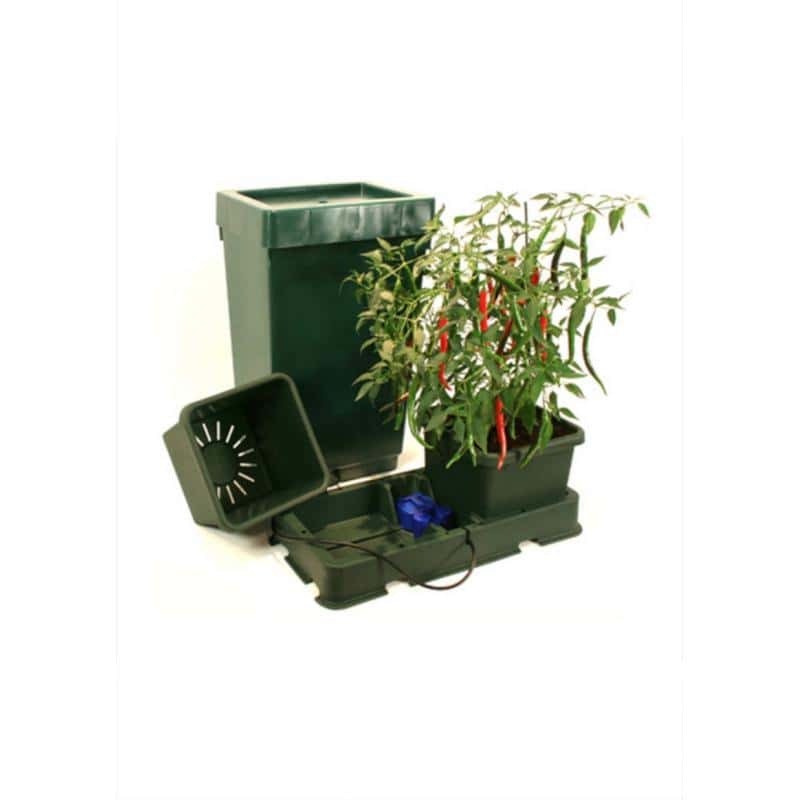 The Green Autopot system is a growing system that works with automatic irrigation that can be used for both soil and hydroponic crops. Without the need for programmers, this economic system allows you to keep your plants irrigated with just the water they need. 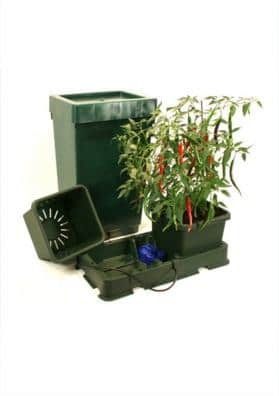 The Green Autopot automatic watering system is a system that allows you to keep your plants hydrated with just the amount of water they need. Thanks to its innovative Aqua Valve, this system will release just the right amount of water needed to keep your plants hydrated without ever running over. Green Autopot is a very versatile system, which can be used both in soil crops as coco or arlita, so it can be considered as a hydroponic system. In addition to these features, it is a very economical product that simplifies the task of irrigation. With different configurations, Green Autopot allows you to choose between two different types of pots (8.5 or 15 liters) and a number of pots ranging from 2 to 100! The Green Autopot operating system is very simple and effective due to the Aqua Valve. The equipment's water tank sends the water to the trays by gravity and the Aqua Valve system controls the amount of water reaching the plants. After the water in the tray is slowly and completely absorbed, Aqua Valve will re-open the passage. This prevents waterlogging. Tank size adjusted to the number of pots: 47 litres for 2, 4 and 6 pots; 100 litres for 12 pots; 225 litres for 16, 20 and 24 pots; 400 litres for 40, 48 and 60 pots; 750 litres for 80 and 100 pots. Innovative system to prevent waterlogging, the Aqua Valve.